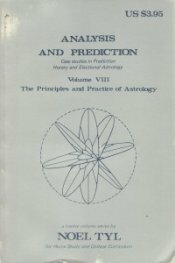 Case Studies in Prediction Horary and Electional Astrology. Volume VIII: The Principles and Practice of Astrology. Analysis and Prediction is a culmination volume: the increasingly detailed and sophisticated means of analysis developed in previous volumes are all focused upon whole-life portraiture. The book is, in fact, a gallery of portraits.